21 cm, 245 g, branches of up to 25 mm in diameter. For thick branches in bypass design. 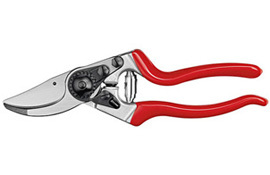 Ergonomic, angled cutting head, non-slip grip coating, forged handles.